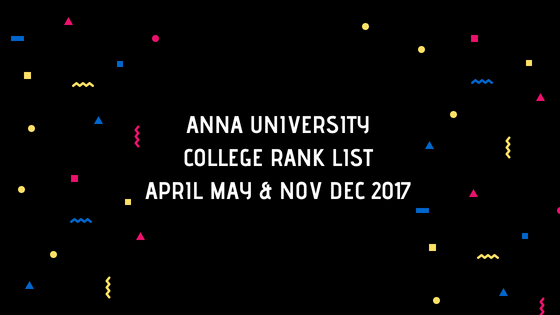 Anna University published college rank list details of April May 2017 and November December 2017 exams. This may help you to choose a right college on TNEA 2018. For more details about TNEA 2018 click here.